Microwave Peanut And Coconut Brittle.This combination is so good together. 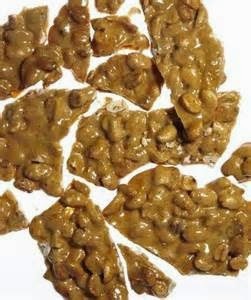 Microwaving this brittle is a great idea, It's very easy and safe. in no time you will have that delicious coconut peanut brittle. I love using fresh toasted coconut slices,adding the coconut in look so pretty and delicious. A plus makes it fun to eat too. In a large microwave-safe bowl, combine the peanuts, sugar, corn syrup, and salt. Stir until the corn syrup moistens the sugar. The bowl need to microware on high power for 5 minutes. sugar mixture should be bubbling up. After four minutes, remove it carefully from the microwave and stir thoroughly with a spatula. Microwave it for another four minutes on high power. At this point, the nuts should be fragrant and the sugar syrup a darker color. Now add the coconut, butter and vanilla extract and stir them in until well-combined. 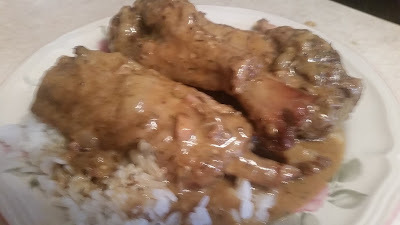 Microwave the bowl for one more minute, then add the baking soda. As you stir it in, the candy will get very foamy and opaque. Keep stirring until all of the candy has a foamy texture, then pour the candy in a thin layer onto the prepared baking sheet. Let the candy cool for a few minutes, then use well-oiled hands to carefully stretch and pull it thinner. The thinner you get the candy, the more "brittle" it will be, so work quickly and carefully, because it will be hot.